To combat the effects of pressure and temperature fluctuations, flexibility and recovery are essential. 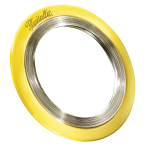 The style LS spiral wound gasket has been engineered by Flexitallic to provide an alternative to sheet gaskets in Class 150 and Class 300 service. Style LS gaskets have the inherent strength, resiliency and blowout resistance of spiral wound gaskets, yet require low bolt load for seating. They are manufactured with high purity Flexicarb flexible graphite filler or PTFE filler for optimum sealability, and are available for the full range of standard Class 150 and Class 300 flanges, as well as other non-standard low pressure flanges. Across the compliance spectrum, from health and safety, through environmental issues to incident avoidance, the FRG is a cost saving revolution. This corrosion management tool is both proactive in helping inspection and reactive in enabling repair. By reducing leaks and slowing corrosion the possibility of shut-downs with associated HSE visits are dramatically reduced, as is the huge loss of revenue associated with a stop in production. Restructured Sigma PTFE bonded to a precision machined metallic core providing a leak free seal and blow out resistance. Highly compressible Sigma 606 to conform to flange face corrosion damage, to seal and prevent further deterioration. 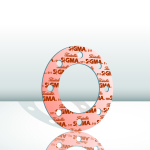 Sigma pairs the outstanding chemical resistance of PTFE with enhanced dimensional stability. 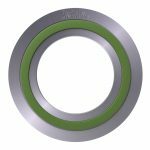 The Change heat exchanger gasket is incredibly robust and resilient, and is designed to deliver the most dynamic seal ever.It’s manufactured with proprietary equipment, using a 5-times thicker metal spiral and a unique laser welding process that penetrates completely through. As a result, it requires no inner or outer ring, and is as easy to handle and install as a double-jacketed gasket. 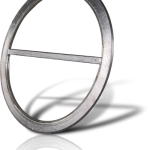 Furthermore, it’s proven to perform without fail at least 60% longer than any other heat exchanger gasket, spiral wound, double jacketed, CMG, or Kammprofile. Flexidram is a fire-safe gasket, made specifically for use in the distillery industry, addressing containment, emission and health & safety issues faced by distillers. 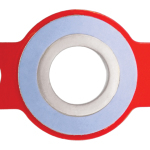 It is the only Food and Drug Administration (FDA) compliant fire-safe gasket capable of sealing effectively, using the low bolt stress available with stainless steel flanges. 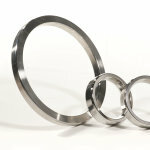 Responding to customer demands for an improved material with strong anti-corrosion characteristics Flexitallic has created Corriculite™ – a filler material for spiral wound gaskets specifically designed for use in corrosion-sensitive environments, such as seawater and hydrocarbon services, across a number of industries, including oil and gas, power and marine. This revolutionary, non-conductive filler material provides sealing performance and corrosion resistance unlike any other gasket material on the market. Comparative tests show Corriculite™ delivers corrosion protection and sealing properties that far exceed other materials currently available.